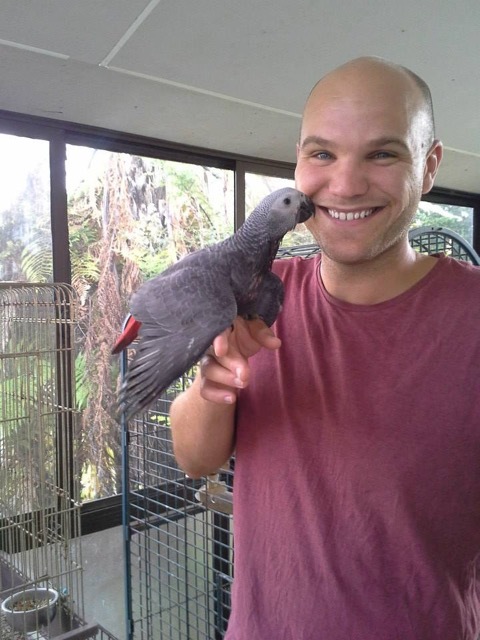 Massey University vet student Corey Regnerus, co-founder of Vet Confessionals. Have you ever made a confession? Massey University Veterinary Student Corey Regnerus reckons it’s an anonymous confession can be therapeutic. Together with colleagues, he developed a system so that vet students could confess - and get help where they needed it. I was fascinated about the system he helped institute at his uni to help fellow students, so asked him a bit about it. How did you come to study veterinary science at Massey University? In 2008, I had organized the American Pre-VeterinaryMedical Association (APVMA) Symposium at the University of Florida, where I was studying. At this symposium, we had invited Veterinary schools from around the country, as well as internationally, and Massey was one of the attendees. After learning about the course offered at Massey, and their multi-country accreditation, I decided to take the risk, and move across the world. I have never looked back since. 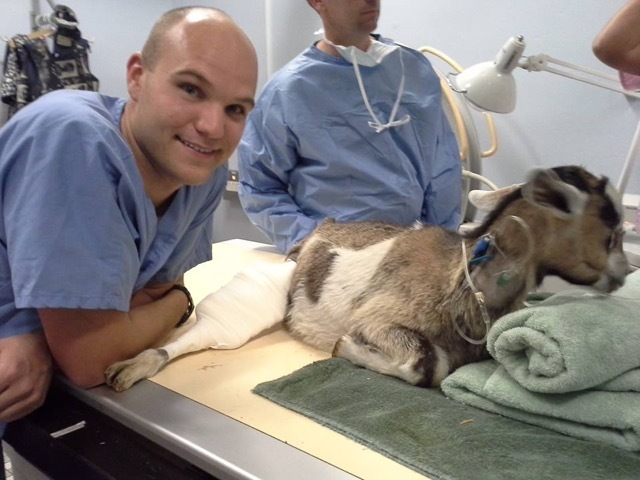 What are the things that appeal to you most about becoming a vet? I think the part that most appeals to me about becoming a vet is the endless opportunities that will result from obtaining the degree. It was just recently highlighted that Veterinary Science is one of the world’s strongest biomedical degrees, and there are so many doors that will continue to open with this degree. Corey with an avian patient. How did you come up with the idea of “Vet Confessionals”? The concept of Vet Confessionals was adopted from “PostSecret” developed by Frank Warren in the USA. A colleague of mine, and now graduated vet, Hilal Doogan, approached me with the idea of trying to develop a similar concept within the veterinary school at Massey. 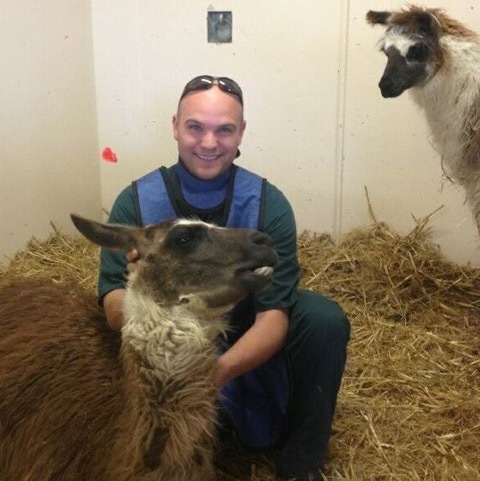 It was to allow for the stress and anxiety of Vet School to be expressed in a creative way, and allow others to view and connect with these ‘confessions.’ From there, we approached Massey for their support, which they gave us, and it has continued to expand from there. Vet Confessionals at Massey works off of the submissions made by the students. We have made blank post cards that are free for anyone to pick up, and then we have a mailbox in the student foyer where they can be dropped off. This allows for it to all be an anonymous submission. Should someone not want to remain anonymous, and possibly talk further about their ‘secret’, they can leave their name on the back, and we will have a counsellor contact them. After the submissions are made, myself and the remainder of our committee (5 students, 1 counsellor and 1 academic staff member) review the cards and then put them up on an electronic forum for the other vet and vet tech students to see. From here, students can then comment back on the cards, and it generally seems to be in a very supportive manner. The review committee reviews the cards and comments to ensure that anything submitted would not harm other people. We get a couple submissions per week, which has been amazing. Now we are looking to expand this out into the wider veterinary community with the hopes that practicing vets will be able to shine some light on the concerns that students are having. What are the major sources of stress for veterinary students? Ohh … tough question. As one would expect, the course itself is always a point of stress, and being able to cope, with not everyone being able to achieve A’s on all assignments. Some of the cards that have been submitted by the students have alluded to concerns of an inability in being the next great vet when they graduate, and also the high debt-loads associated with the degree. Any ideas what the rest of us can do to help? I think it would be great to see this Vet Confessionals project expand into the wider vet community so that those of you who have been out in practice can help to calm some of the fears of the up-and-coming vets of the future. Outside of the project, working to help support new graduates in their first couple years out in practice will continue to pay itself over in spades. Vet Confessionals: We are looking to develop a website that will allow for anyone in the veterinary profession (including nurses and technicians) to submit ‘confessions’, but also to be able to comment back on cards submitted by the students. We are looking to have displays at local conferences as well to help spread the word about the project, and also be therapeutic to those attendees. Personally: Once graduated, I am looking to remain in New Zealand and will probably work in mixed practice. I have recently been developing an interest in camelids after having now owned llamas and alpacas. I have a keen interest in public speaking, and would like to continue to support the efforts of veterinary mental wellbeing and suicide prevention within our community. Any advice you’d like to share with veterinarians and future veterinarians? I would just like to recap on the fact that we are all in this together. Community is one of the most powerful things for anyone’s mental health. The veterinary community is a strong one, an international one, and a small one. We can only continue to develop together, and support each other along the way, leading those new to the family and helping those that have been around. Thank you Corey for your time. I wonder what other groups or workplaces could benefit from such a concept? If you want to find out more about Corey, follow him on Facebook here. Check out the Vet Confessionals Facebook page here. Or follow Corey on twitter @VetCorey.